Car leases have become extremely popular because they offer a huge amount of flexibility at the end of the term of the lease. Lessees can opt to buy out the car they are driving, take out another car on lease even of a different brand, or simply walk away from any commitments after returning the current car. However, the lease termination process can be quite confusing and lessees could carefully consider some issues to prevent needless expense. 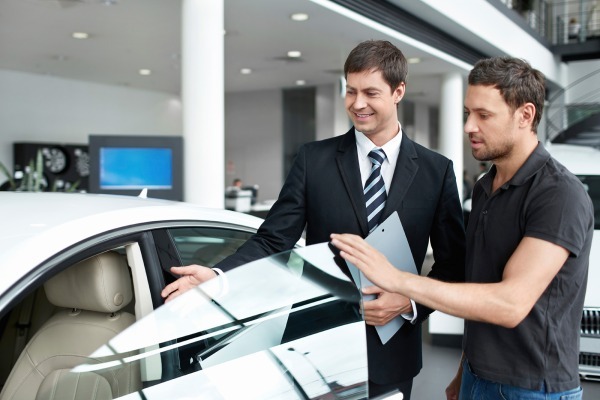 These issues typically relate to lease termination charges, whether buying out the leased car is worthwhile, and what vehicle should one opt for next.The terms of the car lease typically specify charges that are payable at the end of the lease period. Among the areas covered are excess mileage, excess wear and tear, late charges and fees pertaining to disposition. Every car lease comes with a specified limit regarding the mileage that can be clocked up on the car per year and if the car exceeds that limit, then overage charges are levied. Assuming your driving patterns are consistent, you can divide the mileage you have clocked up by the number of months the car has been driven and find out the average monthly mileage. Multiply this by the remaining months and you can calculate the total mileage you would have covered in the lease period and estimate the overage charges if any, that will be applicable. In case the mileage is below the set limit, you don’t have to worry and if also you had not used any additional mileage you may have purchased, you could be eligible for a refund. Three options are available if the car is likely to attract overage charges; you could drive less for the remaining period, drive normally and pay the overage charges at the contractual rate or buy the car off at the end of the lease. Lease terms tend to be quite expensive as far as excessive wear and tear to the vehicle is concerned. You should make every attempt to keep the vehicle in as good a condition as possible to avoid being charged stiff penalties. Various dents and scratches should preferably be repaired by a professional before handing the car over as otherwise the dealer will charge you hefty amounts. Arrange to replace tires with treads less than 1/8 inch as else the dealership will charge you a bomb for the replacement.Buying aftermarket insurance products from a third party could be useful as they will safeguard you for a few thousand dollars’ worth of damage as well as wear and tear and you needn’t undertake the hassle of repairing them before returning the car. All lease contracts will specify that the leased car has to be returned by a date specified on the contract; this is officially termed as the lease termination date. A few days of grace may be allowed by your contract but thereafter you could be exposing yourself to a potentially very expensive liability on account of late fees. You lease contract will usually specify a disposition fee that becomes chargeable when the car is returned. Usually ranging from $200 to $500 (the contract will have the specific amount);this can be waived upon your request if you are leasing another vehicle of the same brand. Should You Consider Buying Your Leased Car? Retaining your leased car, if it is in excellent condition is always an option open to you. However, most people will find it attractive to get a model that is more modern as new vehicles will typically be more frugal with gas, be safer, and have better technology. One of the biggest advantages of leasing cars is that you can keep on driving the latest models at fairly reasonable monthly payments without having to bother about disposing your car off every few years. If you are leasing a model of the same brand, you could be eligible for attractive incentives such as rebates and waivers of some of the remaining monthly payment as the brands want to accelerate your lease termination and get you locked into a new lease. Even competing brands may give you very attractive offers that you could seriously consider. Returning the car and walking away is also a perfectly viable option if you no longer need a car.